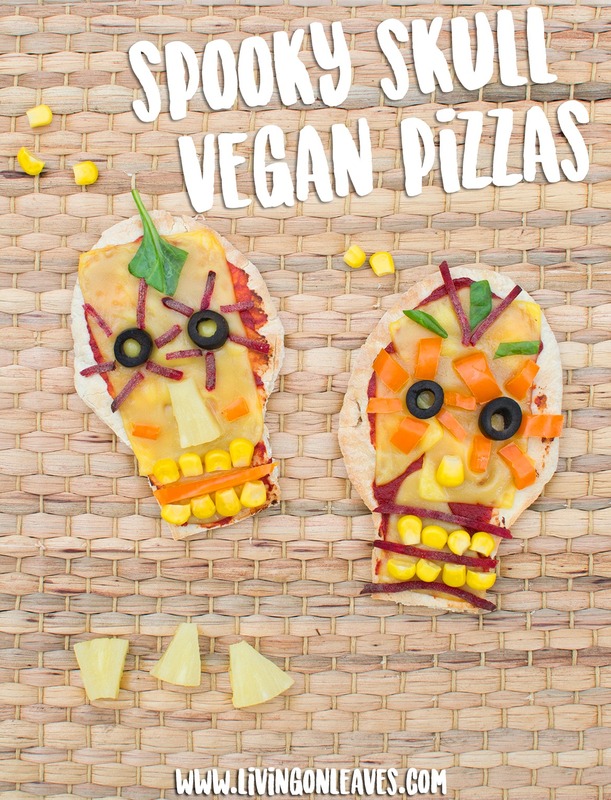 A few years ago we made these spooky skull pitta bread pizzas, I posted about them here, it was before we were vegan so I thought I would redo them with vegan cheese. I know we aren’t even out of August yet but we’ve already started our Halloween crafting, we are a little bit skull obsessed in this house! 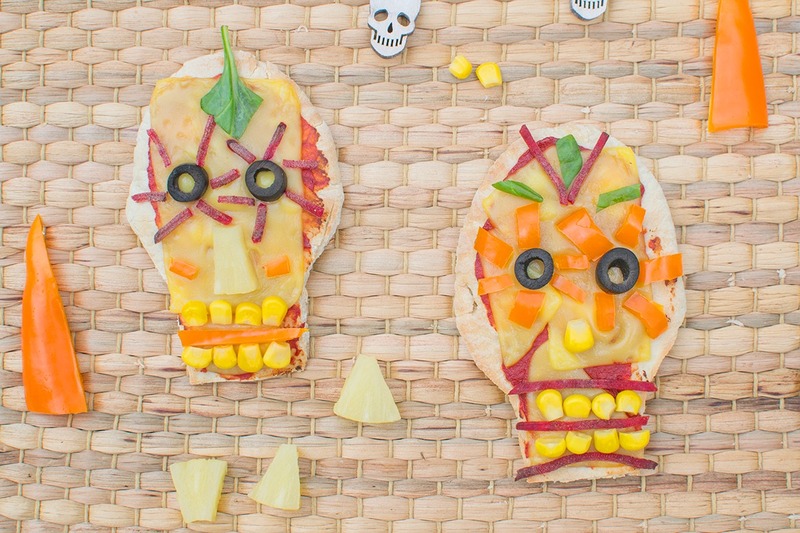 Pitta bread pizzas have always been a favourite in our house but this turns making them into a super fun activity, Cherry loves decorating them. You can really be as creative as you like with the things you use to decorate them too, we used sweetcorn, pineapple, olives, beetroot, basil and pepper. They really are so quick and easy to make, here is the recipe and method. I used pitta breads to make them extra speedy (you could use wholemeal for a healthier option) but you can of course use homemade pizza dough. On the same note you can use homemade tomato sauce, tomato puree is just a quick option and Cherry prefers it. Tiger actually has pesto instead of any kind of tomato sauce on his pizza so that’s an option too! Cut the pitta breads into skull shapes then toast them. Add cheese then grill until melted.